You can easily create a PDF Catalog with additional information about our products by adding files to the download list. Fill in a quick form and download the Catalog. 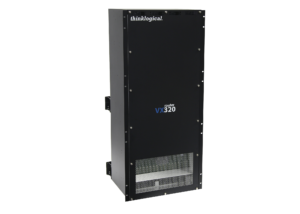 Thinklogical’s MX and VX Matrix Switches are high-performance, protocol agnostic, modular and non-blocking switches for complete, end-to-end routing of video and peripheral signals over multi-mode or single mode fiber-optic cable. The bi-directional configuration capability adds simplicity and control over sophisticated video and KVM visual computing environments. Installed in hundreds of applications, MX and VX Matrix Switches provide scalability, flexibility, security and resiliency for AV and IT systems worldwide. Thinklogical MX and VX Matrix Switches are Information Assurance (IA) accredited to The Common Criteria EAL4, NATO NIAPC Evaluation Scheme: GREEN, TEMPEST SDIP 24 Level B and the U.S. DoD DISA JITC UCR APL. Thinklogical products are designed and manufactured in the USA. The VX320 is a high performance, non-blocking matrix switch for complete, end-to-end routing of video and peripheral signals. 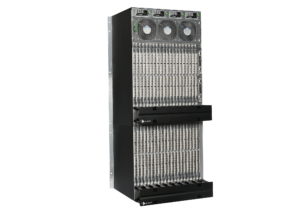 The VX320 is scalable in increments of 16 ports, up to 640 ports, for a unidirectional 320×320 or a bidirectional 320×320 switch. © 2019 Thinklogical LLC, All Rights Reserved. Yes, I would like to receive marketing information from Thinklogical, LLC and Thinklogical International, Inc., and their affiliates, subsidiary companies and brands indicated below. I therefore provide my consent to the use of the personal information submitted here for the purpose of providing me marketing information related to Thinklogical and its affiliates’ and subsidiaries’ products, services and marketing events. I understand that I may withdraw my consent at any time. Additional information regarding Thinklogical’s data privacy policies, including how to withdraw this consent, is available at www.thinklogical.com/privacy_policy. Thinklogical is a subsidiary of Belden Inc. Their affiliates, subsidiary companies and brands include: Alpha Wire, Belden Deutschland GmbH; Coast Wire & Tech; Hirschmann Automation and Control GmbH; GarrettCom; Grass Valley; Lumberg Automation, Poliron; PPC Broadband; ProSoft Technology; S-A- M (Snell Advanced Media); Softel Ltd.; Tofino Security; Tripwire; and West Penn Wire.